Congratulations to our Costa Rican friend Gilbert Brown who won the 2014 Gran Final Reef Classic at Playa Hermosa de Jaco, Costa Rica. 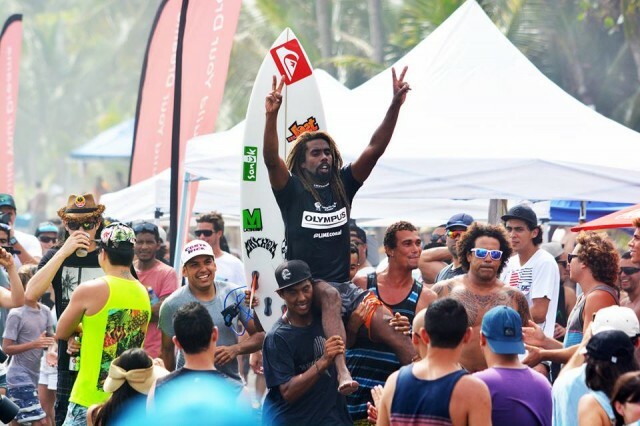 This win makes him a four time national champion of the Costa Rican Surf Federation. He’ll pretty much be taking that title permanently for the rest of his life, so you don’t have worry to about it. 4x Champ Gilbert the Great! Playa Hermosa pumping for the event. Here’s a sick clip of Gilbert in Costa Rica.